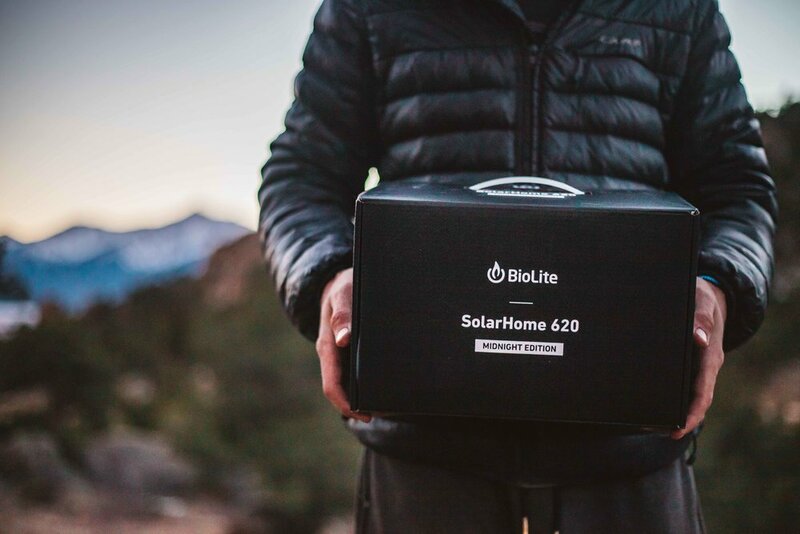 We’re back testing another dope piece of gear from BioLite, the Midnight Edition of the SolarHome 620! This thing is COOL. It was made for those in third world countries who live without evening lighting. It consists of a battery/radio, a 6w solar panel, 2 hanging lights with on/off switches and 1 motion sensing hanging light. I think this system would be SO incredible in a cabin or tiny house. The cordage is far too long and the lights are far too big for us to swap this SolarHome 620 with our existing BioLite Base Lantern and String Light set up. The lights are designed to hang from a long, modern looking cord, but we have next to no overhead room in the Scamp, making this arrangement impossible. The final drawback is that we have limited space to add hanging fixtures to the Scamp, as the walls are covered in carpet. It was an awesome experience, as it always is, to test this BioLite product and I would highly recommend any of BioLite’s lighting setups for nomad use. I have not come across anything more power efficient, good looking and simple to use. I hope to do a giveaway with this SolarHome 620! I’m communicating with BioLite on whether or not it’s kosher on their end, given that this is a limited time only product. I’ll update across my social media platforms if the giveaway is a go!